Lest anyone think that D-Link is the only vendor who puts backdoors in their products, here’s one that can be exploited with a single UDP packet, courtesy of Tenda. Hopefully others will find them useful as well. I’ve recently been examining the feasibility of differentiating compressed data from encrypted data based on variations in the entropy of the data. Initial results showed some promise, but were tested against too small of a sample set to draw any hard conclusions. Since then, I’ve been experimenting with larger data sets (more files and more varied types of encryption / compression) with quite satisfactory results. The TL;DR is that 98% of the compressed files tested were correctly identified as compressed, and 100% of the encrypted files were identified as not compressed (i.e., encrypted). In general the entropy of compressed data shows significant variances from that of encrypted data, and can be reliably identified with very few false positives. While identification of certain compression algorithms (namely LZMA) still present some practical concerns depending on your situation, even those compressions were reliably distinguishable from encrypted data during testing due to non-random data in the file’s header structure (see ‘Analysis’ below). What is particularly exciting, at least for me, is that compression formats which would have been otherwise unknown (e.g., files that weren’t signatured by file or binwalk) were easily identified as compressed through entropy analysis. When working with binary blobs such as firmware images, you’ll eventually encounter unknown data. Particularly with regards to firmware, unknown data is usually either compressed or encrypted. Analysis of these two types of data is typically approached in very different manners, so it is useful to be able to distinguish one from the other. However, there are a few tests that can be performed to quantify the randomness of data. The two that I have found most useful are chi square distribution and Monte Carlo pi approximation. These tests can be used to measure the randomness of data and are more sensitive to deviations in randomness than a visual entropy analysis. Being able to run IDA scripts from the command line is very useful, but can be a bit kludgy. Fortunately, idascript was written to simplify this process. Unfortunately (for me), it was written for Windows. print "Cross references to strcpy:"
Today we’ll be jailbreaking the Netgear NTV300 set top box…with a TV remote. Negear’s NeoTV set top boxes are designed to compete with the popular Roku, and can stream video from all the usual sources (Netflix, HuluPlus, Youtube, etc). The NTV300 is one of the least expensive NeoTV models, and while a GPL release is available, it contains only copies of the various standard open source utilities used by the NTV300. All the interesting bits – such as Netflix streaming, or the ability to build a custom firmware image – are not included. Although D-Link’s CAPTCHA login feature has a history of implementation flaws and has been proven to not protect against the threat it was intended to thwart, they continue to keep this feature in their products. 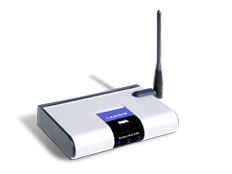 Today we’ll be looking at the CAPTCHA implementation in the D-Link DIR-605L, which is a big-endian MIPS system running Linux 2.4. As you can see, there’s not much there: a Thomson TV tuner, an IR receiver, 32MB of RAM and a 2MB flash chip (on the underside of the board). What really makes this interesting though is the LGDT1111 SoC; this is a DTV chip manufactured by LG, so it’s a little different than the Broadcom/Atheros/Ralink/etc SoCs found in a lot of other consumer devices. It is very popular with many DTV converters though, so determining its CPU architecture and reversing the underlying firmware could be interesting.